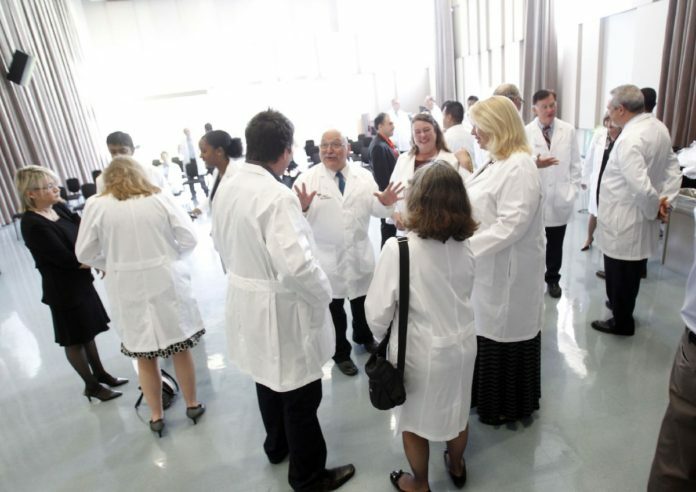 When the idea of opening the UTRGV School of Medicine was first announced, the thought that came to many was that the healthcare needs of remote, rural parts of South Texas could be better served by this institution. To our delight, just a couple years after opening its doors, the medical school is doing just that. Most recently, it signed a significant agreement with the U.S. Department of Health and Human Services to open three rural clinics. We commend UTRGV officials who, last week, announced that the medical school has received a $3.75 million five-year grant from the federal agency, along with partnership agreements from governing entities, like Hidalgo County, which will allow it to open the three primary care clinics in rural parts of Hidalgo, Cameron and Starr counties. Called Area Health Education Centers, these facilities will allow UTRGV staff and medical students to provide health care to underserved areas through 2022 and fulfill part of the dream visionaries had for the medical school. The Hidalgo County facility is to be in San Carlos. The other two centers are planned for the Bob Clark Center in Southmost in Cameron County and in La Victoria in Starr County. Each will have “part-time licensed medical providers to provide health care to community members and to teach and supervise medical students and residents,” the agreement reads. In addition, local high school students who are interested in medical fields also will be recruited through their schools to help at the centers where they will be trained in early patient care. The development of these facilities is something that has been needed in the Rio Grande Valley for decades. And to do so by training and educating a new generation of medical personnel will help us to grow our own network of healthcare workers — some from their teen years — who, hopefully, will want to stay and work in the Valley after graduating. In addition, each facility will have a “community-based governing or advisory board that reflects the diversity of the communities involved,” UTRGV School of Medicine Senior Associate Dean Dr. John Ronnau told Hidalgo County Commissioners last week. We congratulate UTRGV and the three counties for preparing to launch this needed and aggressive healthcare program. If the success of the popular UTRGV mobile health clinics are any indicator of how well these facilities will do, then area residents should be lining up knowing they will get quality healthcare assistance that our community has long needed.